As you will no doubt have seen by now, the final 30 of this year’s Ballon d’Or nominees have been released, and it’s fair to say there are more than a few glaring absentees. 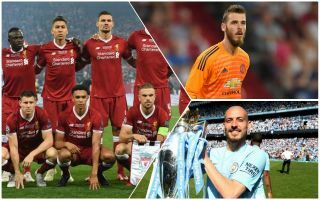 Big names at Premier League giants Manchester City, United and Liverpool may feel aggrieved not to have made it on, as will one player who was instrumental in Real Madrid winning a third successive Champions League final last season. Of course, ultimately it doesn’t matter a huge amount as we all know that there are, at the very most, four players who could win the award, with no one other than Cristiano Ronaldo or Lionel Messi picking it up since all the way back in 2007. Okay, he might not have won a lot recently and he had an uncharacteristically bad World Cup, but come on now. Manchester United goalkeeper David de Gea has been consistently outstanding in the Premier League for the last five years now, and it’s hard to argue he’s not the finest player in the world in his position. We may be a long way away from a goalie ever winning the Ballon d’Or, but it’s frankly insulting that De Gea isn’t even in the top 30 players in the world. One of the most important members of Manchester City’s all-conquering, record-breaking and generally swashbuckling Premier League winners last season, and yet there’s somehow no place for David Silva. The Spaniard has been a joy to watch for a long time now and had arguably one of his finest seasons in a City shirt last term, even putting aside personal problems away from the pitch to perform at an incredibly high standard. Again, he’s not a player who’s ever going to win the thing, but what’s Raheem Sterling done to not even make the final 30? The England international was another big-game player for City last season, showing big improvement under the expert guidance of Pep Guardiola and netting a career-high 23 goals in all competitions to guide the club to the title. Don’t laugh! James Milner has been absolutely superb for Liverpool under Jurgen Klopp, topping the Champions League for assists last season. The 32-year-old has continued his strong form this season and without him the Reds would not have come anywhere close the Champions League final last season, nor would they be being talked about as title contenders this term. While no one would argue Milner’s going to win the thing, he deserves far more recognition for what has been a truly stunning 2018 for the midfielder.